powers and authority assuming the responsibilities delegated to it under the said statue. Section 1. Five members shall be appointed by the governing body of the Township of Willingboro. One member shall be appointed by the Township Manager as their representative and one member shall be appointed by the Superintendent of the School District of Willingboro as their representative. Section 2. Members of the Board of Trustees have authority only when acting as a Board legally in session. Board members have no administrative authority with respect to the library and its staff. Only the Board president shall authorize or make statements of official Board positions. Trustees and Library policies, evaluate the Library Director's performance and serve on committees deemed necessary. Section 1. The officers shall be a president, a treasurer, and a secretary, elected from among the appointed trustees at the annual reorganization meeting of the Board. elected and until their successors are duly elected. voting member of all committees, and generally perform all duties associated with that office. of the treasurer those duties shall be performed by such other members as the Board may designate. The Treasurer, in the event of the absence or inability of the president, or of a vacancy in that office, shall assume and perform the duties and functions of the president. Section 5. The secretary shall oversee the keeping of a true and accurate record of all meetings of the Board, oversee the issuance of notices of all regular and special meetings, and shall keep a list of unfinished business. Secretary may be employed to record the minutes but it is not recommended that the director have this additional duty. 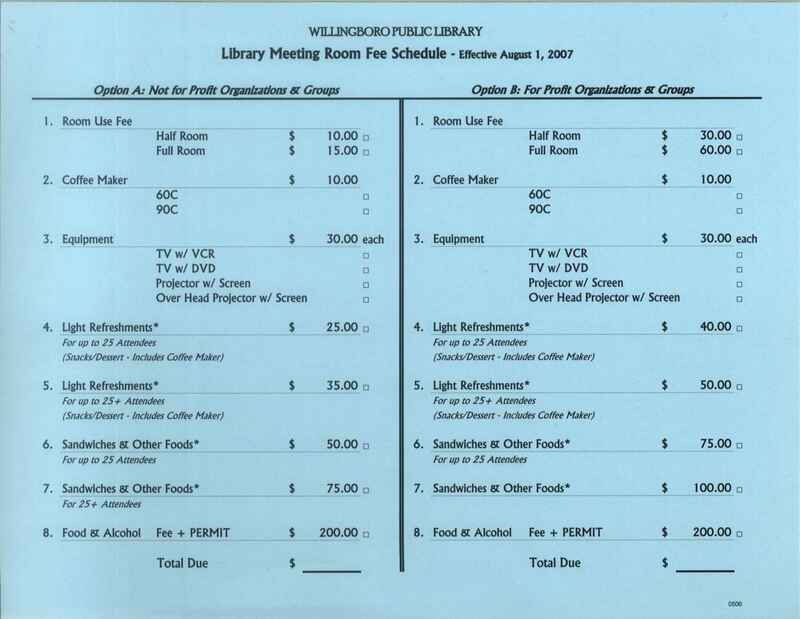 exception of August when there will be no regular meeting, on the second Wednesday at 7:30 p.m. in the "Board of Trustees" Room in the Willingboro Public Library. Section 2. The annual reorganization meeting, (first meeting of the year) shall be for the purpose of the election of officers and the adoption of an annual report, shall be held at the time of the regular meeting in January of each year. Section 4. Special meetings may be called by the secretary at the direction of the president, or at the request of four members, for the transaction of business as stated in the call for the meeting. Section 5. A quorum for the transaction of business at any meeting shall consist of four members of the Board present in person. budgeted appropriation. Appointees for the position of Assistant Director and department head are to go before the Board for final approval. The director shall have interim authority to appoint all other full-time, part-time, or temporary employees without prior approval of the Board, provided that any such appointment shall be reported to the Board at its next regular meeting. may require from time to time. The committee shall be considered to be discharged upon the completion of the purpose for which it was appointed and after the final report is made to the Board. Board at each of its meetings. Section 3. No committee will have other advisory powers unless by suitable action of the Board, it is granted specific power to act. Section 4. Standing committees are Finance and Personnel. prior to the meeting at which such action is proposed to be taken. Section 3. Any rule or resolution of the Board, whether contained in these by-laws or otherwise, may be suspended temporarily in connection with business at hand, but such suspension, to be valid, may be taken only at a meeting at which at least four of all members of the Board shall be present and four of those present shall so approve.